(Nanowerk News) Creatures like the Morpho butterfly on the leaf above appear to be covered in shimmering blue and green metallic colors. This phenomenon is called “iridescence,” meaning that color appears to change as the angle changes, much like soap bubbles and sea shells. 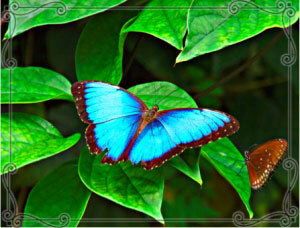 Iridescent wings of a Morpho butterfly. 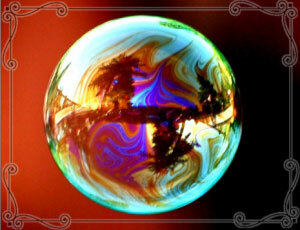 Iridescent behavior of a soap bubble. 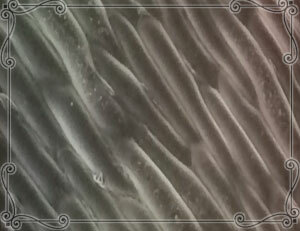 Nanoscale ridges on a petal's epidermal surface.